Andrea by Wig America – A soft, beautiful look can be yours with the Andrea by Wig America. Long curls fall down around you, and capture your true essence. A signature look you'll love wearing when you go out. A skin center part works great with the overall style, and allows for further styling options. The perfect length for creating a unique look all your own. The hair on the Andrea can be brushed and fluffed out for an even fuller look. The decisions are all yours when you're wearing this wig. A comfortable fit with an average size, adjustable cap. You control your comfort levels at all times with a simple adjustment if needed. You'll have a very natural appearing hairline, and no one is ever going to question your hair authenticity. As part of the Naturals Collection, you can bet you'll look just that when wearing your new Andrea wig. 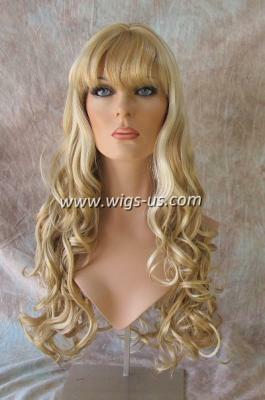 Available in many colors for you to choose from, we have what you need at Wigs US. i love, love, love all the long wigs in the wig america collection, and this wig is no exception. just a wonderful look, no matter what the color. Just received my wig and it is fantastic. You can do anything with the bangs. Pull the hair up and clip it and when it is brushed out (with a pin brush) it is full and thick. Fits perfectly around my hairline and looks so natural. The cap and hair is super soft. It comes down to almost my waist in the mid-back. 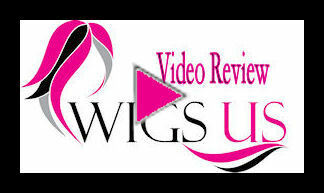 I highly recommend this wig and to shop here at wigs-us. Thank you so much.